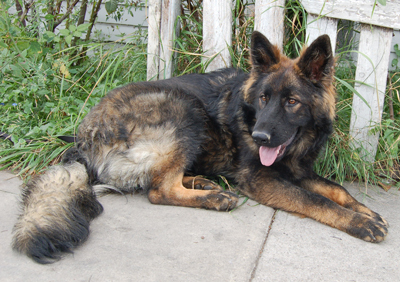 Smokey von Suisse is a beautiful long hair 9-month old sable German Shepherd. 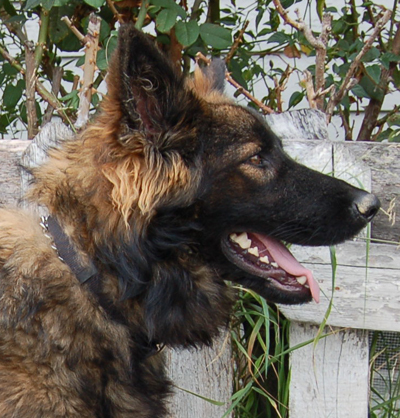 The sable pattern is actually the foundation of the modern German Shepherd breed. 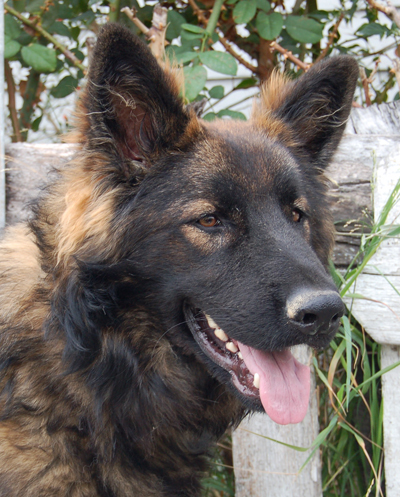 The first registered German Shepherd was a sable male. Long Hair sables are rare and some people wait a long time to find one. 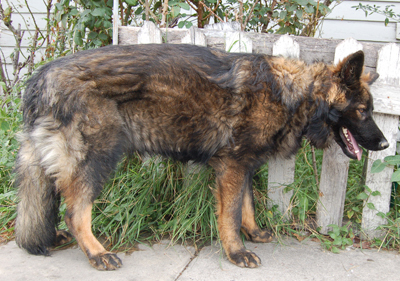 Smokey just lost his home so he is a little shy, but comes out of his shell when he is in the company of other dogs. He is easy to walk because he stays right by your side. He will sit for treats and is a very smart boy so he will be easy to train. 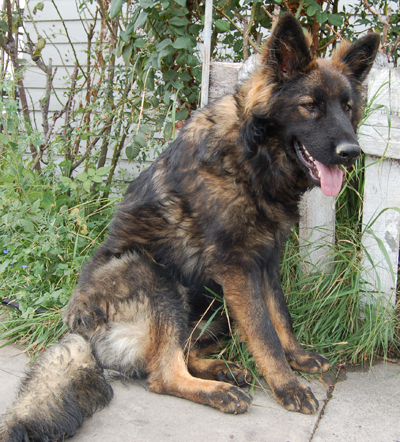 One of our volunteers spent a lot of time with him and the more time she spent the more relaxed he became. So with a little coaxing and some tasty treats he will continue to blossom. 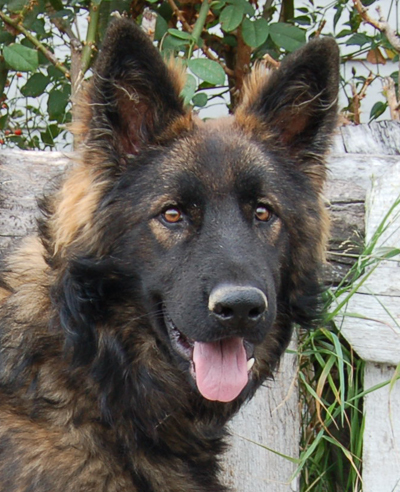 Come meet our beautiful boy Smokey. Smokey's adoption fee is $400.